buildings, and visitors will appreciate the 70 shopping malls and dozens of business hotels that fill the Brazilian modernist architectural gems. As the cultural capital of Brazil, São Paulo boasts South America's most impressive collection of nightclubs, museums and theatres. The city is also South America's most gay-friendly; its Gay Pride Parade in October is the largest in the world, known to draw up to 3 million folks. Dining tops most Paulistanos lists of things to do, as São Paulo has the best restaurant selection in the country, ranging from sushi to Brazilian churrascurias (steakhouses). São Paulo has the largest population of Italian descendants outside of Italy (six million), so try the famed pizza paulistana. degrees Celcius) cooler and warmer, respectively. Another major factor you should consider before booking your trip: Rain. Heavy rains are common during Brazil’s summer (January - March), but the period between April and December is far more pleasant, with many more dry, sunny days, fewer crowds, and a full cultural calendar to boot. Wonderful city! Very much the New York of South America. Great Museum of Modern Art, and wonderful outdoor bar just behind it! Have a caipirinha, kick back, and enjoy the nightlife! São Paulo holds much of Brazil's wealth; and with that wealth come nice things like Parque Ibirapuera, Vila Madalena, MASP, and Avenida Paulista. Let's not even begin with the restaurants. Oh, the restaurants! Paulistanos having a reputation for being distant or cold, but they sure know how to build a city and fill it with the warmth of food and color. The colors -- Beco do Batman, Mercado Municipal. I think this is one of those cities that you like more as you get better acquainted with it. São Paulo is a fun, lively, massive city! I've never seen so many skyscrapers as in São Paulo! The street art is amazing and don't miss going to the marketplace! My favorite place in the World. No, I'm not kidding. São Paulo is noisy, chaotic, crowded, but I love. When you're in São Paulo, make sure you check out the incredible street graffiti art, the Instituto Butantan and its snakes and buy some amazing shoes at Galeria Melissa. If you want to grab a drink with a great view, head to Skye Restaurant. São Paulo is an eclectic city with loads of good restaurants, but not super friendly for tourism. 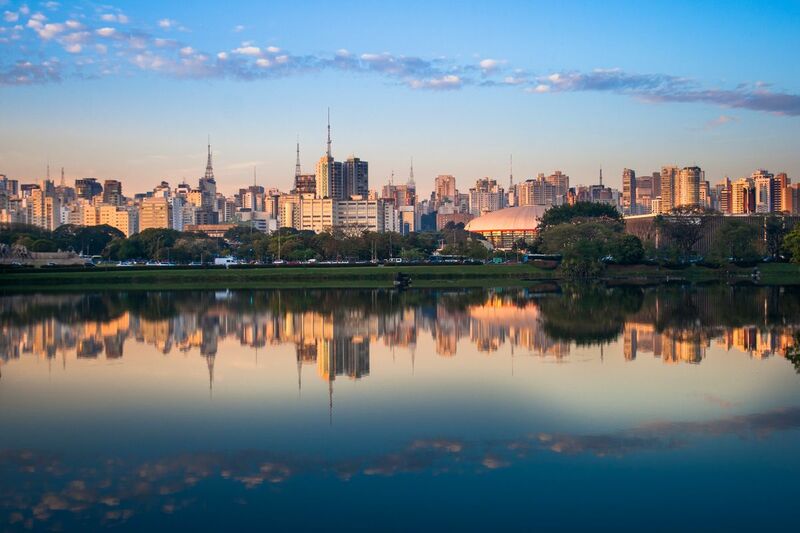 Sao Paolo is the largest city in the southern hemisphere and it is both massive and sophisticated. Home to great architecture, exceptional food, some of the best street art on the planet and vibrant nightlife. Sao Paolo can hold its own against New York City or London, the only downside is the high levels of violence and crime. Security concerns are palpable. Though not as stifling as in Johannesburg, you can't help but worry a little and we were constantly reminded to dress down, not carry valuables, and to avoid taking photos or talking on our phones while on public streets or in transit by taxi. It is also important to get advice on where and when you can walk vs. taking a car. The situation changes depending upon time of day and day of the week and chances are you will want to take taxis from point to point most of the time in some areas. Vila Madalena and the Jardim area are relatively safe and the best areas to explore on foot. Sao Paolo is a 5 star city but safety is a major detractor. If you worry a lot, you may be better off going somewhere else. The chances that something bad will happen are slim but muggings are common and sometimes turn violent (especially when people resist). Every local and every expat has a story.